A three pack of 8" Firstfire Mini™ model rocket motor igniters are manufactured with a smaller diameter wire than the FirstFire Jr™ igniters, allowing them to fit a wider range of motors, particularly those with small throats. The FirstFire Mini™ igniters offer the same reliability that customers have enjoyed with the other igniters in the FirstFire line. 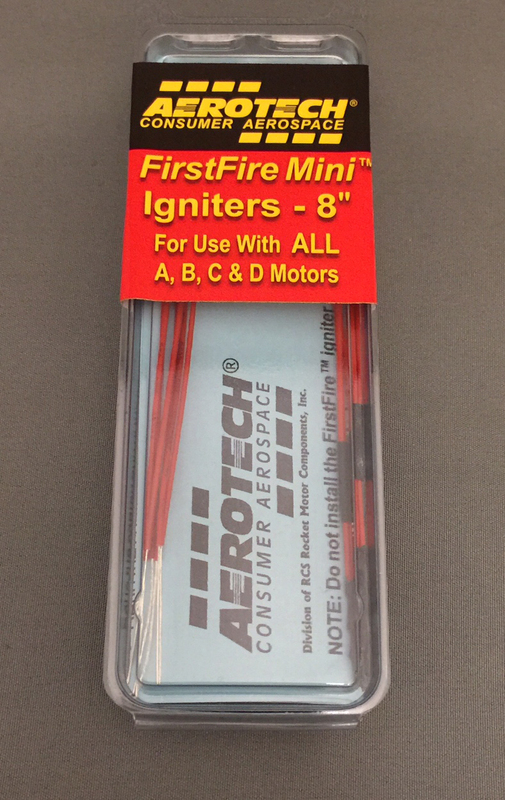 FirstFire Mini™ igniters work on both 9V and 12V launch systems.